Oeliatec return to SALTEX on stand number E055 to showcase their range of environmentally-friendly range of weed control products. 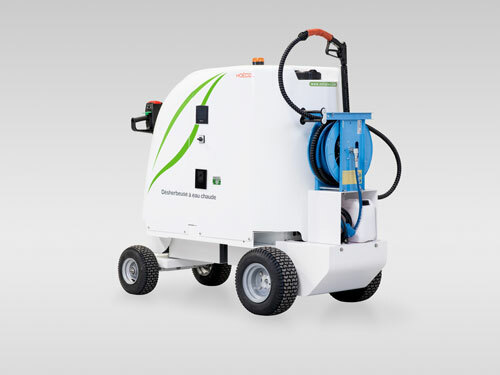 All Oeliatec weed control machines kill weeds with 100% hot water by delivering an efficient low pressure treatment at temperatures of up to 120°C. This destroys the cellular structure of the weed to kill off the plant. The intense heat penetrates deep into the root system killing the plant from the leaf down to the root. It is effective with all broad leaf plants and grass along with moss and algae which can also be removed at the same time. 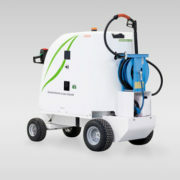 With five models available, customers will not only be able to control weeds, moss and algae but also remove graffiti and chewing gum from streets, paths and walk ways. Leading groundscare machinery distributor Etesia UK has taken on the distribution for the Oeliatec environmentally-friendly weed control range in the UK and Ireland. Visitors to the show will be able to view a range of products and talk to knowledgeable staff about environmentally-friendly weed control and collect the latest product information booklets. © Copyright Oeliatec. Website designed by Fusion Media 2019. All rights reserved..